It’s a very good thing an asteroid isn’t hurtling toward the Earth right now — because our current calculations on what it would take to destroy it might be way off. The researchers detail how they reached that conclusion in a study set for publication in the March issue of the journal Icarus. They started by creating a new computer model to simulate what would happen if an asteroid about one kilometer (.6 miles) in diameter slammed into another, with a diameter of 25 kilometers (15.5 miles), at a speed of five kilometers per second (3.1 miles per second). 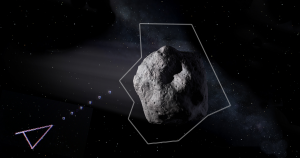 Because the Johns Hopkins team’s model took into account more smaller-scale processes than previous simulations, it was able to provide what the researchers believe is a more accurate picture of what would happen during such a collision: rather than break apart entirely, as expected by previous models, the bigger asteroid would crack only partially. According to researcher K.T. Ramesh, the team’s study reveals that we need to rethink what it would take to destroy an asteroid — before we actually have to destroy one. The post Destroying Incoming Asteroids Might Be Harder Than We Thought appeared first on Futurism.